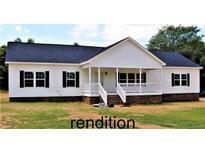 Find York, SC New Homes for sale. View Photos, Maps and MLS Data Now! NOTE: This picture represents this new build and NOT the finished product. NO HOA! ! MLS#3487045. Keller Williams Fort Mill. Preferred lender pays $1000 in closing costs! MLS#3489300. Allen Tate Lake Wylie. Spacious Great Room with open Kitchen, Formal Dining, and Second floor finished bonus! MLS#3488541. TLS Realty LLC. Additional Bedrooms also include walk in closets. Nicely appointed throughout. MLS#3486372. TLS Realty LLC. Construction is proposed and photos are for representative purposes only, subject to change. MLS#3483060. Keller Williams Ballantyne Area. 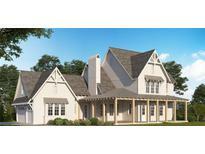 Lauren Pines - This is a beautiful new construction home. MLS#3484354. Allen Tate Rock Hill. All nicely upgraded with Stainless Appliances, Granite Countertops, and MORE! MLS#3482396. TLS Realty LLC. Quality finishes in the kitchen with granite countertops, stainless appliances, and maple cabinets! MLS#3477832. TLS Realty LLC. Quality finishes throughout with granite countertops, new appliances, and smooth 9' ceilings! MLS#3477231. TLS Realty LLC. BEAUTIFUL!Quality New Construction Ranch Home on 1ac in Desirable Location!Tired of Postage Sized Lots?Well This Property Has Lots of Room to Roam~You will LOVE this Floorplan w/Luxury Vinyl Plank Flooring w/Lifetime Warranty~Expansive Great Room w/Vaulted Ceiling & Gas fireplace~Walk Thru to Your Fabulous Bright Kitchen Area w/Custom Soft-Close cabinets~Granite Counters~Glass Tile Backsplash~Bar Seating~Stainless Steel appliances~Pendant Lighting~Sunroom off Kitchen w/Wonderful Views of Your Wooded Yard~Dining Room w/Tray Ceiling Off Kitchen for Easy Access~Crown Molding~Recessed Lighting Thruout~Master Retreat w/Trey Ceiling~His/Hers Closets~Spa-Like Bth w/Custom Tile Shower w/Multiple Shower Heads~Spa Tub~Dual Sinks~Tile Floors~Linen~2 More Lge Bdms w/High Ceilings~Front Bd w/Palladium Window~Need to Work From Home?Well..There's an Office for That!large Laundry w/Sink~Oversized Garage w/Storage Room!Close Proximity to Recent State of the Art $78 million York Comprehensive High School!Great Opportunity! MLS#3477772. EXP Realty Piedmont. USDA 100% Financing Available.This picture represents the builders quality of work on other builds NOT this listing. MLS#3475301. Keller Williams Fort Mill. Located in desirable York, SC, tons of community amenities! MLS#3470498. TLS Realty LLC. Quality finishes in the kitchen with granite countertops, stainless appliances, and maple cabinets! MLS#3469654. TLS Realty LLC. Gorgeous trim in kitchen/great room, formal dining with butler's pantry, and large screened porch for outdoor entertaining space! MLS#3469190. TLS Realty LLC. Hardwoods and granite in the living areas and baths. MLS#3468479. RE/MAX Lakes & Land, Inc.. Covered rear porch. Close to town and shopping MLS#3468486. RE/MAX Lakes & Land, Inc..
Lauren Pines - Come see this beautiful new home! MLS#3468467. Allen Tate Rock Hill. Nicely appointed with granite countertops, stainless appliances, stainless farm sink, upgraded flooring, and neutral two tone paint! MLS#3467813. TLS Realty LLC. Plan highlights include drop zone bench in mudroom, butler's pantry for additional kitchen storage, and large storage closet on second floor! MLS#3467495. TLS Realty LLC.